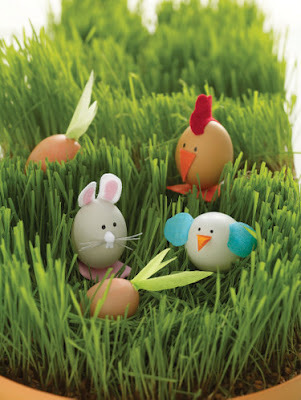 This is from Martha Stewarts egg Dress-up kit, but you could totally buy your own felt and make the add-ons yourself! Those are totally cute!! I just bought an egg-dye kit. I love Easter!! !